As of May 13th The Westerlies officially released their debut album Wish The Children Would Come On Home and is now available for purchase. The album highlights 11 of Wayne Horvitz’s compositions, beautifully re-imagined by the Westerlies featuring Willem de Koch (trombone), Andy Clausen (trombone), Zubin Hensler (trumpet) and Riley Mulherkar (trumpet). In early 2013 The Westerlies were approached by their Seattle-based teacher, friend, and mentor, Wayne Horvitz, to create a record of his music. They wholeheartedly agreed; all four of them were already very familiar with his body of work and had played in a number of his ensembles. After exploring his prolific output of the past thirty years, they selected a range of jazz tunes, film music, and classical chamber pieces, and chose to record them on location during their annual summer residency in the San Juan Islands of Washington. The album is available for download on iTunes. One of the more remarkable albums to cross my path this spring….an impressive feat from almost any angle…Take note of these players. Youíll be hearing more from them soon. 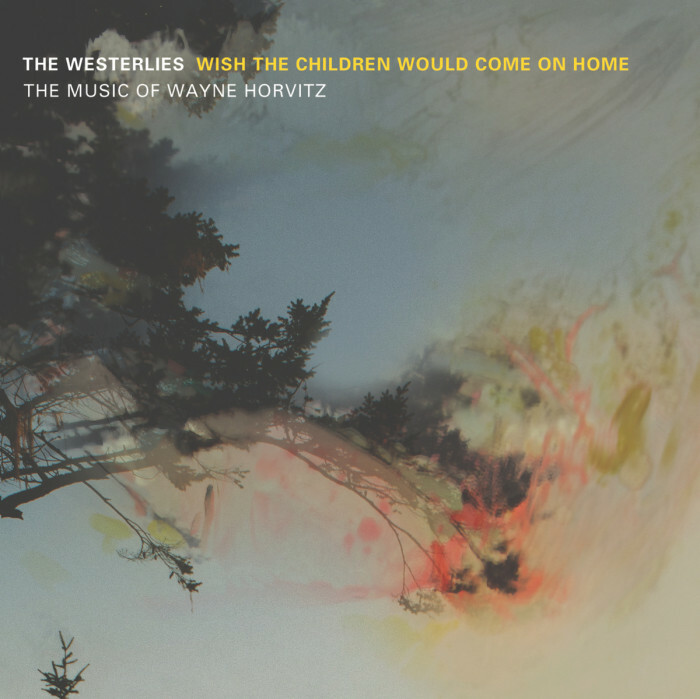 Wish The Children Would Come On Home: The Music of Wayne Horvitz means that the Westerlies have arrived and are facing a bright future. Wish The Children Would Come On Home is a lot of things, but first and foremost it should be noted that it is just a lovely listen. It is that rare combination of approachable and unusual that can challenge listeners who want to be challenged and entertain those who don’t. The Westerlies capture the alien warmth and touching soulfulness inherent in so much of Horvitz’s music, of a soundtrack orphaned from the movie conceived in dream and never put to film. An added bonus are the four improvisatory tracks, for which Wayne Horvitz himself performs on. Just a beautiful album. Highly Recommended.